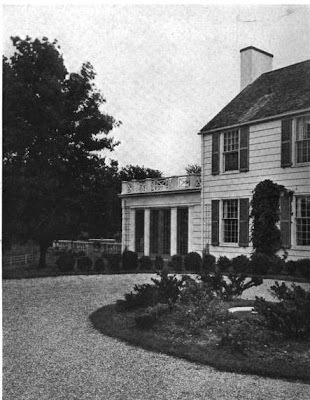 'Clayton', originally the James M. Townsend estate designed by William Lawrence Bottomley c. 1920 in Mill Neck. Subsequently owned by Faris Russell, a partner with the investment firm of White, Weld & Co. and chairman of the board and president of Ward Banking Co.. He was also a mayor of the Village of Mill Neck. Click HERE to see 'Clayton' on google earth. the comments on the google earth image say it was remodeled from a replica of L'Hameau at Versailles into what it looks like in your pix. but your pix are from 1921 - so when was it remodeled and what did it look like then? 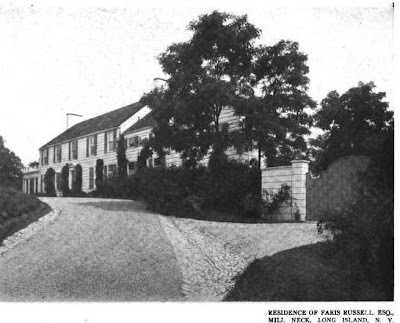 now it looks a lot like that house nearby - Rumpus House - there certainly seem to be a lot of those Colonial Revival houses that survived. probably more maintainable than the fairy castles. I had the opportunity to tour the house when it was for sale (several years ago). Compared with those pictures, the only real difference appears to be (1) the addition of a baronial size living room/ballroom and (2) the addition of numerous outbuildings/garden structures. Both of these additions were done tastefully and at some point during the earlier half of the 1900s. The house itself had a lot of wood panneling and marble, which was also probably from the renovation. While standing in the main hall, you could look out in both directions (from north to south) into the gardens. 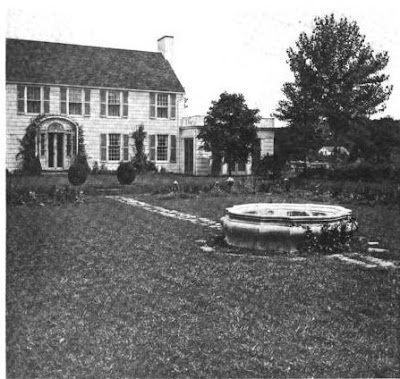 It created a nice axis that extended from a statue in the front lawn to the fountain pictured. The new ballroom replaced what appears to be a sun-room. It had a lot of gray marble and a large mural. The house also included a hexagonal study and a powder room that featured a spider-web motif (created with stained glass). 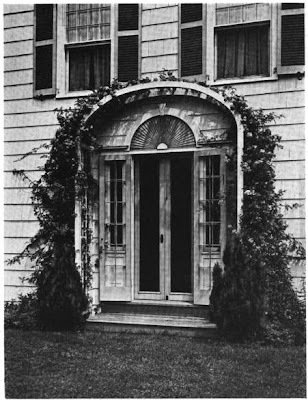 I also remember there being an attractive sleeping porch off of one of the bedrooms. The house was listed with Daniel Gale for about $3.7 M until a couple of weeks ago. The listing must have expired.